Cusco is known as the Navel of the World since the time of the Incas and is renowned for its beauty and incredible historical and cultural legacy. If you have enough time after your visit to Cusco and Machu Picchu you will surely want to know WHERE TO BUY IN CUSCO. Cusco has many places to shop, with an incredible diversity of products handcrafted by artisans. Many of these items are unique products, really amazing; Especially textiles, made of alpaca wool and jewelry. The majority of products and souvenirs are made taking inspiration from the culture and traditions of this destination in Peru. It is impossible not to be seduced by the shapes and colors of handicrafts with Andean and Inca motifs. In Cusco there are many places to go shopping, the craft centers around the tourist circuit stand out among all. Cusco produces 650 tons of alpaca fiber each year, making it one of the main producers worldwide. And not to mention, in Cusco you can tour many of the best alpaca clothing stores in the world. You can not leave Cusco without carrying an alpaca garment ; Most textiles have Andean motifs. Among the articles made with alpaca wool, you will find gloves, scarves, ponchos, chullos (hats), blankets, backpacks, vests, bags, all of excellent quality. Tour the craft shops, you will find beautiful works of goldsmiths, charms, rings, silver necklaces; But you will also find ceramic plaster and baked clay. What to buy in Cusco? 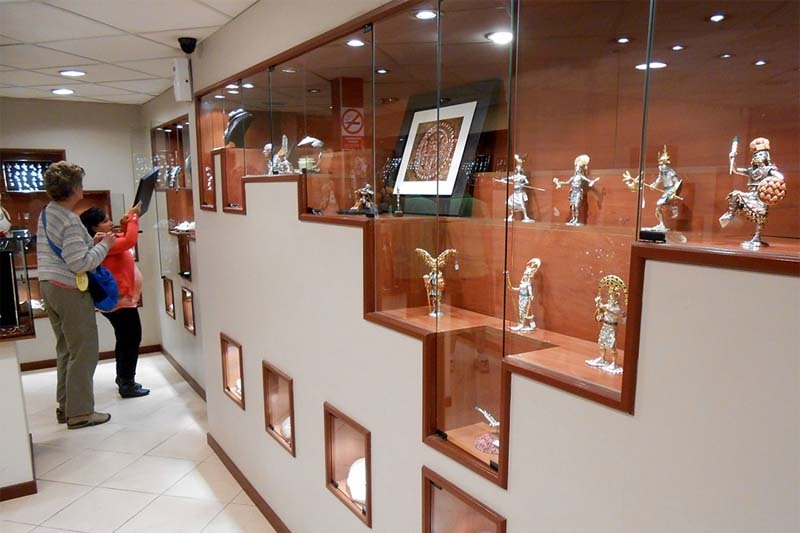 The craft is one of the memories that can be bought in Cusco, because it will take part of the culture of the city with him; However if the gift is for your wife or girlfriend, you may prefer to buy silver jewelry with semi-precious stones. You will find products in a huge variety of materials, and it will not be difficult to find beautiful unique products, you just have to know where to look for them, because there are many places where industrialized products are made. Where to buy in Cusco? Cusco has many places to shop and be distracted for hours; artisan workshops, markets, Sunday fairs, craft malls, art galleries, jewelers, etc. You can find a store in every corner of Cusco’s Historic Center. Among these there are some places to buy that you need to know on your trip to Cusco. 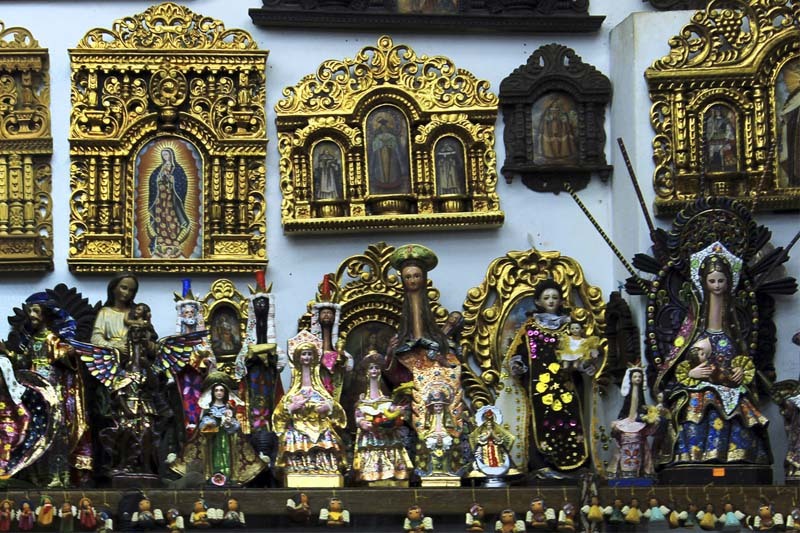 The picturesque neighborhood of San Blas is an entire neighborhood of artists and craftsmen. It is known as the bohemian neighborhood and you will find many art galleries and craft shops that operate in beautiful old houses. You can arrive directly from the Plaza de Armas del Cusco, passing Hatun Rumiyoc Street. In this neighborhood you can visit workshops to see the process with which the craftsmen produce their works. Visit the workshops of the Olave family or the Camero family; And you can not miss the works of the Mendívil and Mérida families, recognized internationally. The Mercado de San Pedro is located 2 blocks from the Main Square of the Cusco; And in addition to beautiful handicraft products and alpaca garments at very good prices, the San Pedro market will offer you a unique experience, because this is the market that most people in the area use to buy their daily consumption products. Among the groceries you can find, Peruvian food and the products with which they are made. The Village of Pisac is located 33 km from Cusco, in the middle of the Sacred Valley of the Incas; The market of Pisac is known worldwide and not for its incredible infrastructure, since the market works of improvised way in the Place of Arms of the town; Nevertheless we speak of one of the places most visited by the people of the whole world. This outdoor market offers products at very good prices, in addition to the possibility of haggling. The market operates all week, although we recommend you to visit it better on Tuesdays and Thursdays; However the best day to visit visiting the Pisac Market is Sunday. You will find products made of alpaca, silver jewelry and beautiful paintings. 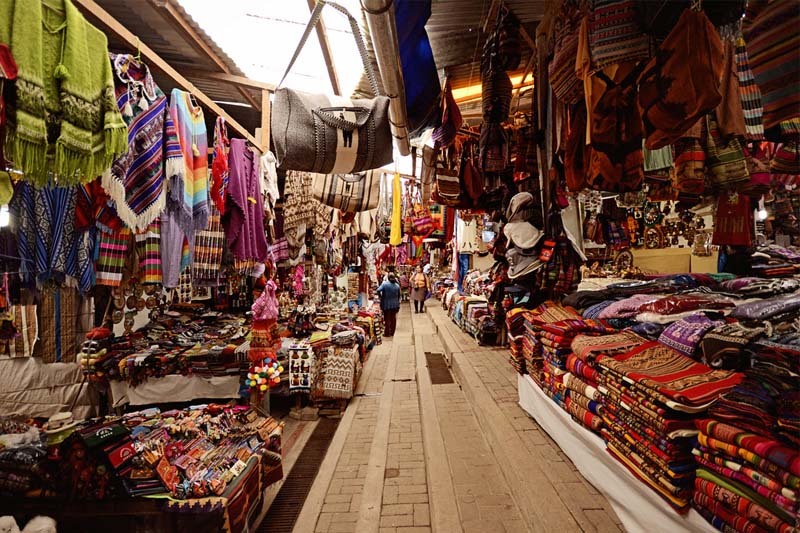 The Sacred Valley of the Incas has many villages where you can shop; Urubamba, Chinchero, Ollantaytambo, but there are others who have products that you would like to take with you. The salinas of Maras in Urubamba gives you the possibility of buying pink salt; Is a place where salt is extracted from the time of the Incas, and one of the 4 places in the world, where you can get pink salt. The handicraft in Cusco is very peculiar; There are many artistic lines as far as handicrafts are concerned, each neighborhood or town, has a specific type of ceramics. The pottery of villages of the Sacred Valley like Pisac is different from that produced in towns like San Pablo, in the South Valley of Cusco. So also the textile and gold works; If you have a few weeks in Cusco, we recommend you to visit the different markets of nearby villages. Each place in the region has its own cultural features. The Chocomuseo del Cusco is a place where you can choose the ingredients you want in your chocolate and buy it; Or if you wish, prepare it yourself, there you can teach how to do it; The Cusco Chocomuseo offers unique flavors with ingredients from Peru; Like Aguaimanto, coca leaves, cherimoya, is one of the best things to take home. In addition you will find many very beautiful souvenirs all based on the theme of chocolatese found in Square Regocijo, one step away from the Main Square of Cusco. It is completely dedicated to the Coca plant, its history, its medicinal uses and its use since the time of the Incas and the rituals in which until now is used. The museum has guided tours in English and Spanish; Is located in Street Palacio 122 just behind the Cathedral, one block from Cusco’s main square. El Molino shopping center is a place where you can find everything, you can buy almost anything, you can find from stockings to giant screen televisions. Attend every day of the week. 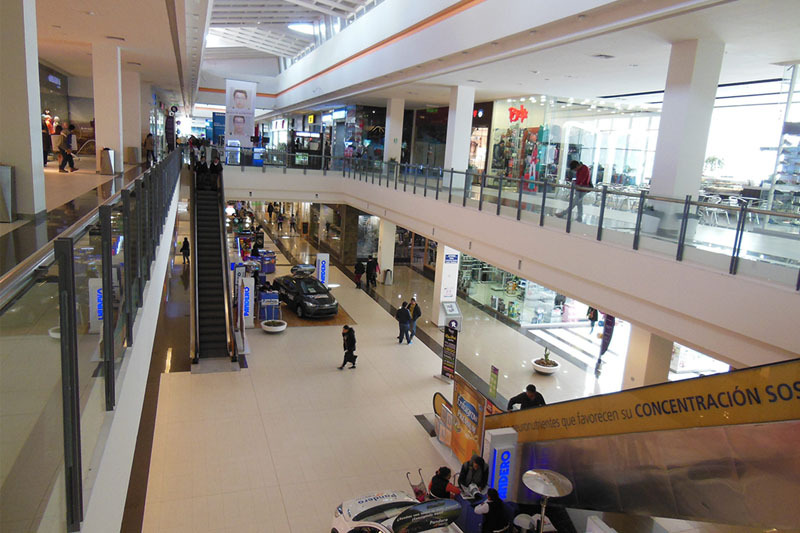 It is the largest shopping center in Cusco and you can find everything, it has movie theaters, an electronic games area, a food court and many department stores.